If you are ever in Tokyo, whether for a business trip or holiday, make sure you book ahead before making a beeline for Jiyu Gakuen Myonichikan, The House of Tomorrow. When you see the looming skyscrapers impinging on its residential quarter from the city it is hard to believe that schoolgirls beetled about this tiny but perfectly formed school garden we are standing in. Harder even to believe that father of American Modernism Frank Lloyd Wright, the New York Guggenheim designer, would have taken on such a tiny project at such a busy time in his career. “Jiyu Gakuen”, meaning “School of Free Spirit”, and “Myonichikan” , meaning “House of Tomorrow” , is the lovechild of Motoko and Yoshikazu Hani. 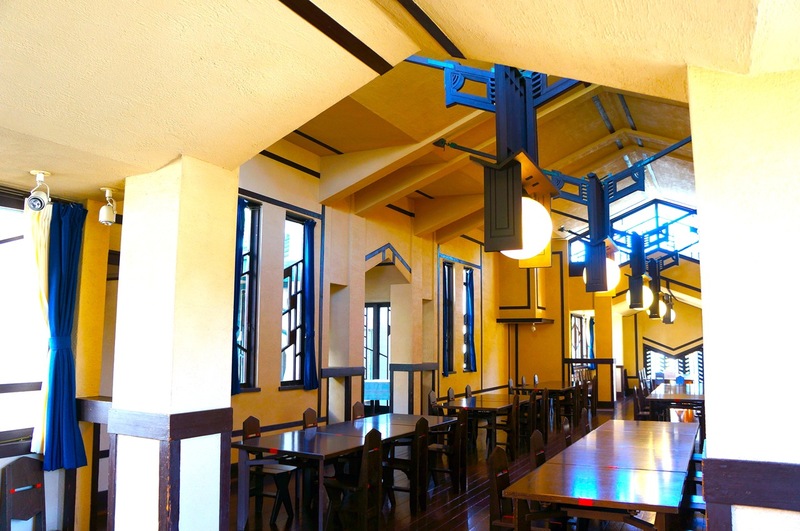 Introduced to Wright by Arato Endo, who worked with Wright on his first huge project in Tokyo – The Imperial Hotel, the Hanis and Lloyd Wright were to become lifelong friends. Wright believed that a building played an important role in education and was so impressed by the couple’s progressive education philosophy and Christian values he let them collaborate so closely on the design that the final plans were signed by both Wright and Arato Hani. It was the first time the architect had ever shared a credit. 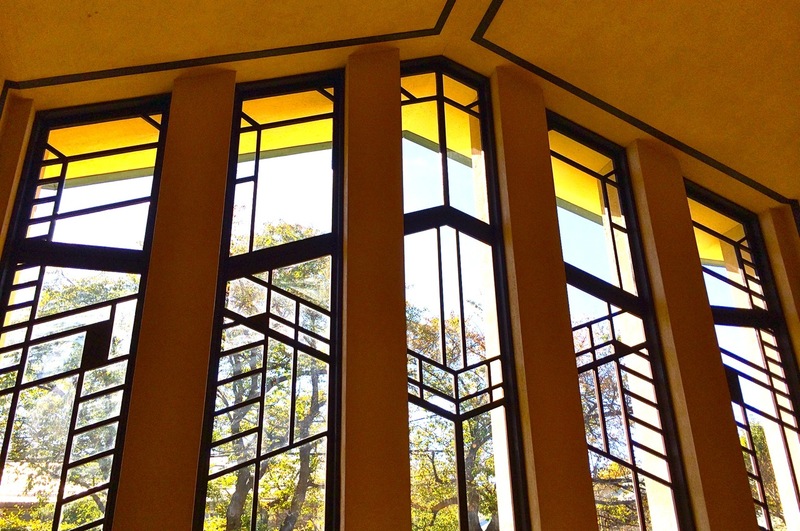 Frank Lloyd Wright’s love of Japan was formed long before his first trip in 1905. He already harboured a love of Japanese Ukiyo-e woodblock prints which informed his Prairie style back in America. Crediting Japan’s arts rather than its architects as inspiration, the woodblocks became a fascination that spanned his whole life. After two months touring Japan, he went back to America full of praise for the place and could not wait to find an excuse to go back. In 1911 Wright returned to pursue the contract to refurbish Tokyo’s Imperial Hotel and six years later finally took up temporary residence in Japan. Unlike, The Imperial Hotel , thought to be one of Wright’s most complex buildings, The House of Tomorrow was not designed in Maya revival style and is not lavish to the extreme. 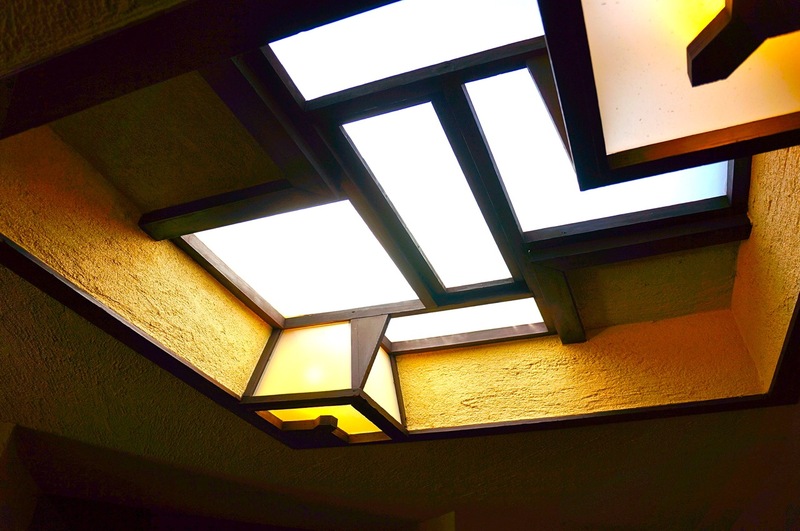 Nestled in the busy inner suburb of Ikebukuro modernist fans will find solitude from the energetic streets of Tokyo in Jiyu Gakuen Myonichikan and be amazed at this well preserved glimpse of Frank Lloyd Wright. Based around a courtyard the low rise symmetrical lines of the building evoke Wright’s signature ‘Prairie House’ design. The original copper roof has gone but almost all other details remain. You can still see small creases in the plaster that suggest it must have been made in small batches. The school with its heavenly windows facing south onto an open courtyard, and symmetrical wings jutting out to the east and the west was built to a child’s scale. The wood and concrete give it a modern feel and Wright’s extensive use of gray-green Oya stone for pavements, columns, fireplaces and lanterns standing in the corridors evoke early occidental ceramics. Rooms are flooded with light, the geometric wooden window frames casting beautiful shadows, sculptural lights hang from the ceiling and small chairs and tables (designed by Wright and Endo) are still on display. 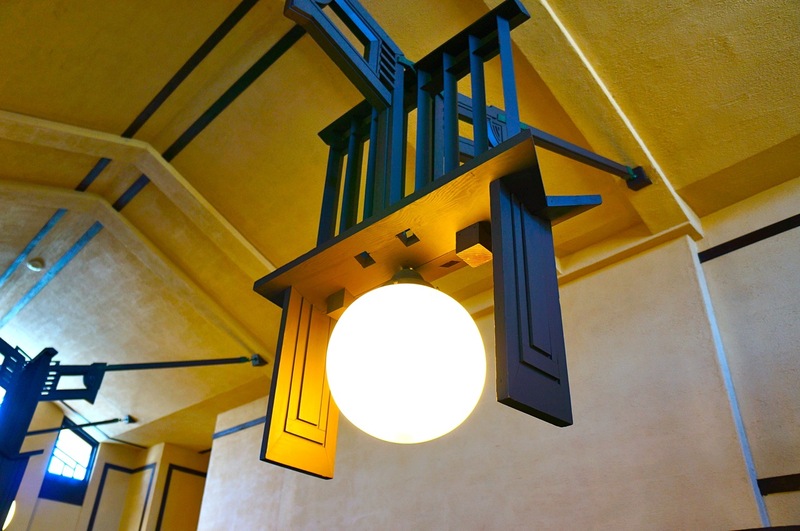 These small details are everywhere and will satisfy all Wright fans. 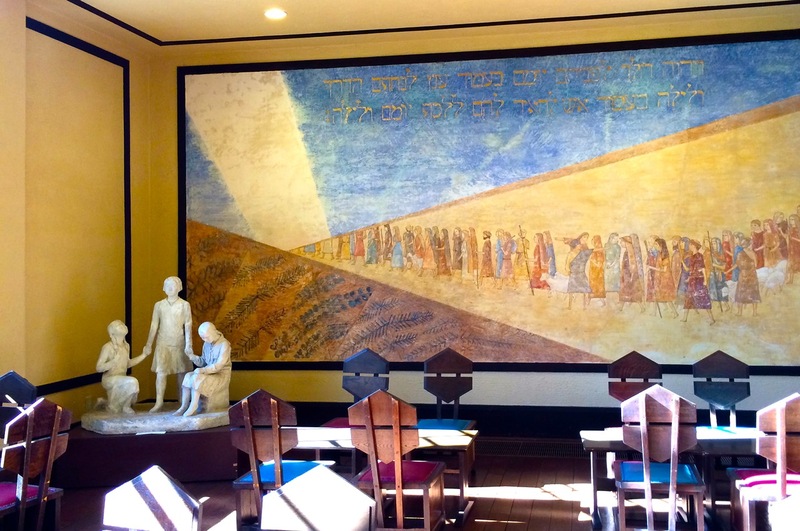 In the main hall, which was a place for the girls to worship, a mural painted in 1931 to commemorate ten years of the school was rediscovered during restoration that started in 1997. With refurbishment completed in 1999 The House of Tomorrow was designated an Important Cultural Property. New annexes have been sympathetically built and the school is now used for lectures, concerts, seminars and weddings. 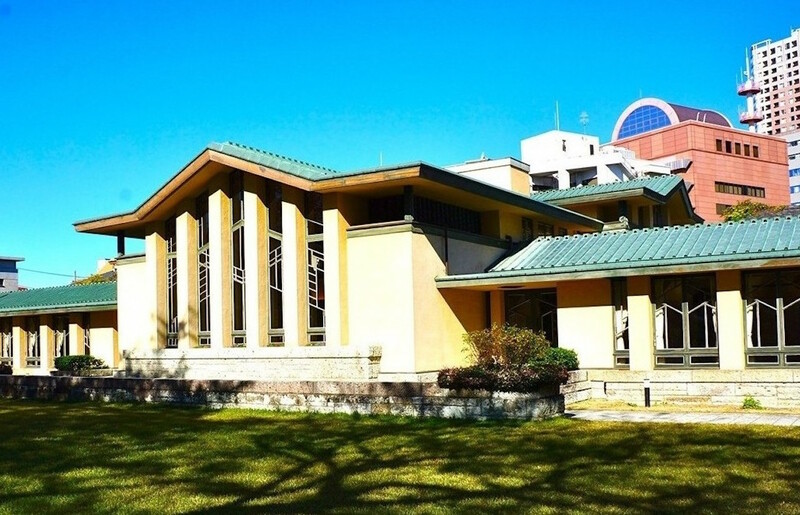 Although most of Wright’s buildings in Japan no longer stand he left a legacy. Many of his apprentices went on to create their own exciting work although often heavily influenced by Lloyd Wright. Arato Endo, already mentioned, went on to oversee extensions to the school and designed the Kōshien Hotel, another Maya revival style hotel. Other apprentices included Eizo Sugawara, Antonin Raymond, Kameki and Nobu Tsuchiura, Muraji Shimomoto, Yoshiya Tanoue, Taro Amano and Takehiko Okami who were all important exponents of the Modernist evolution in Japan. 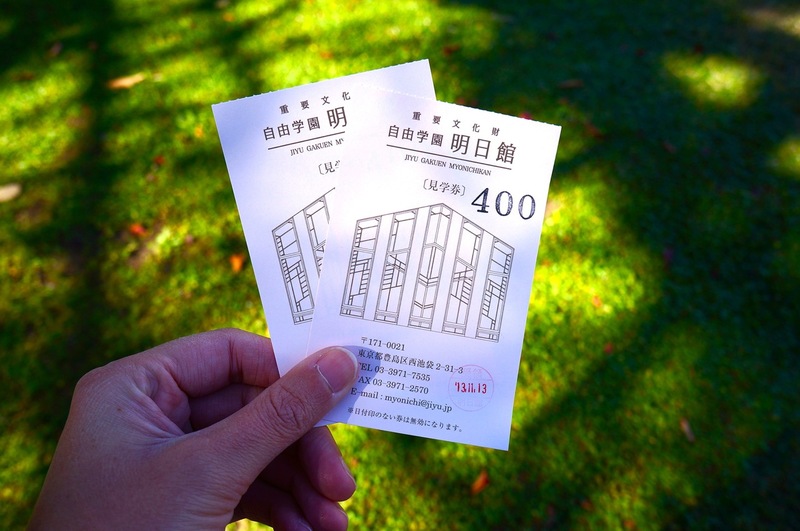 Entrance to the school is 400 yen. We suggest you take tea and cake in the main hall too. 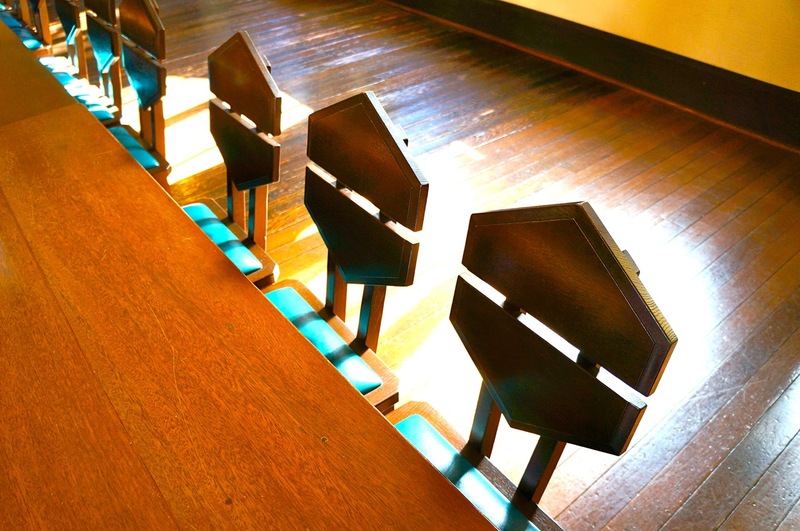 If you are happy to perch on the child sized chairs it is well worth the extra 200 yen to soak up the atmosphere. Tohiya, 18-1 Udagawa-cho, Shibuya-ku, Tokyo (00 81 3 3476 2820). Restaurant with a classic Japanese paperwork interior. The kind Lloyd Wright himself would have visited. Located in Tsukiji fish market, Daiwa Sushi is the buzziest place to have a sushi breakfast or brunch. Queues form outside this little sushi bar in the market from as early as 5am until it closes at 1pm. Always wanted to perch on a Jacobsen leather sofa or lounge on Le Corbusier but could never quite afford your own. Here's your chance while grabbing a bite to eat mid-stroll. Designed to resemble a stylish Tokyo dwelling complete with bedroom, living room, and dining room. We love it here. Browse through architecture magazines or speed date with an architect from their database while you sip your coffee. Great place for breakfast.